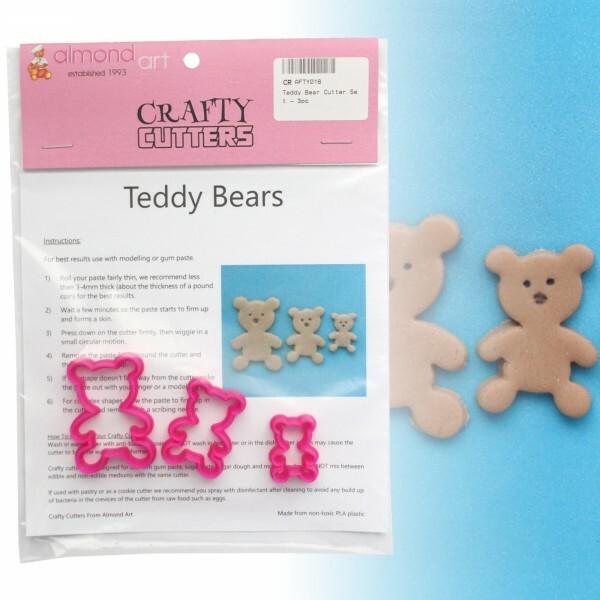 Teddy bear cutter set from Crafty Cutters. 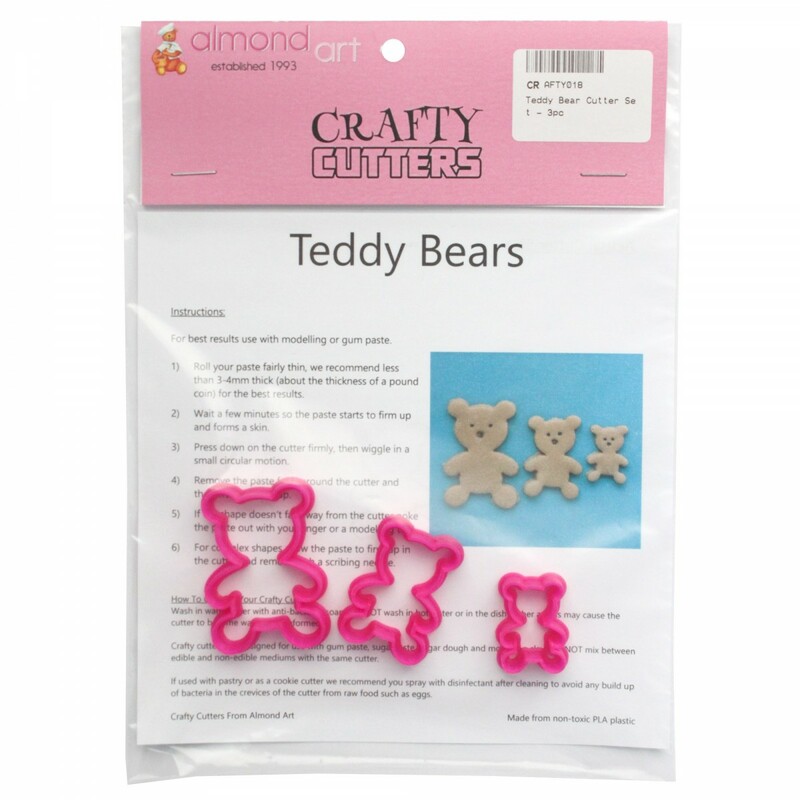 Set contains 3 teddy cutters; small, medium and large. This teddy bear cutter set contains 3 sizes of teddies. 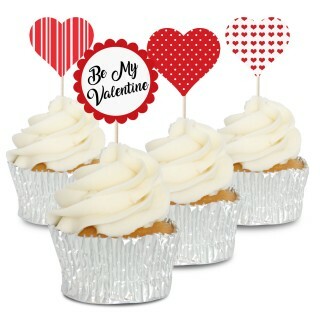 Ideal as a decorations for baby and chirstening themed cakes and cupcakes. 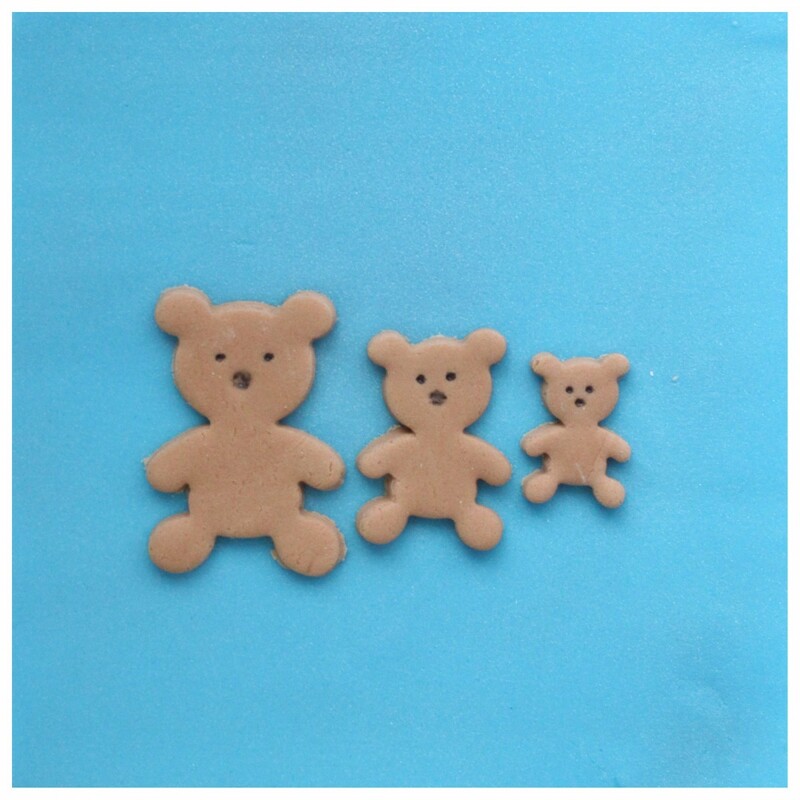 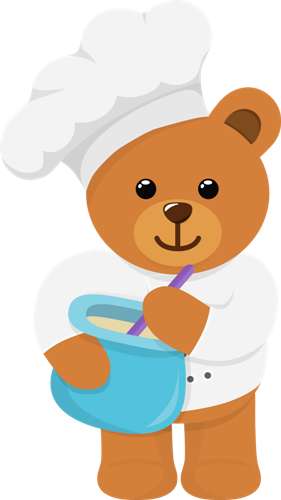 The 3 sizes mean you can make cake toppers, cupcake decorations and cute teddy borders.